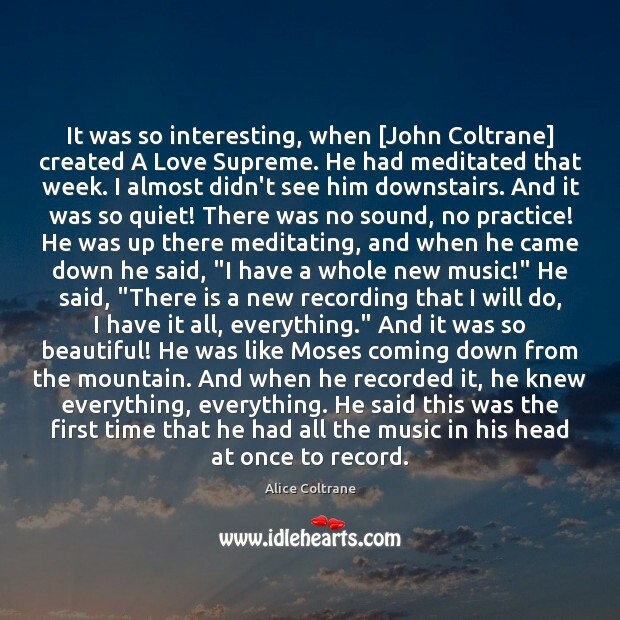 Enjoy the best inspirational, motivational, positive, funny and famous quotes by Alice Coltrane. Use words and picture quotations to push forward and inspire you keep going in life! Women have been held back and limited throughout the centuries. 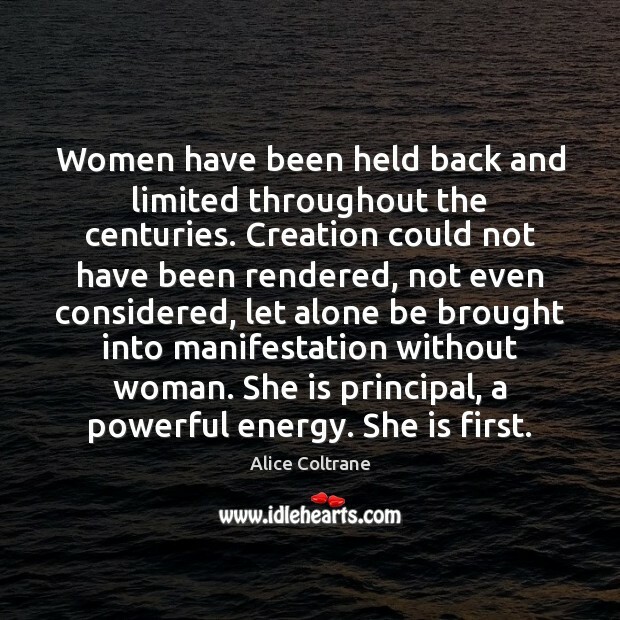 Creation could not have been rendered, not even considered, let alone be brought into manifestation without woman. She is principal, a powerful energy. She is first. 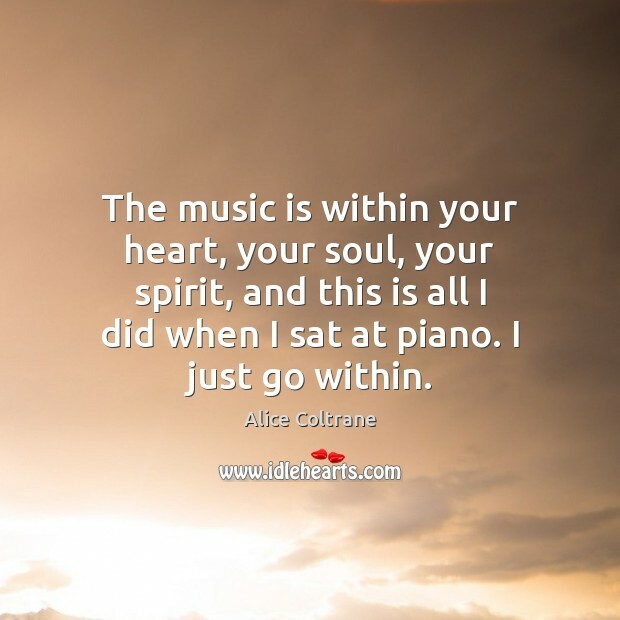 The music is within your heart, your soul, your spirit, and this is all I did when I sat at piano. 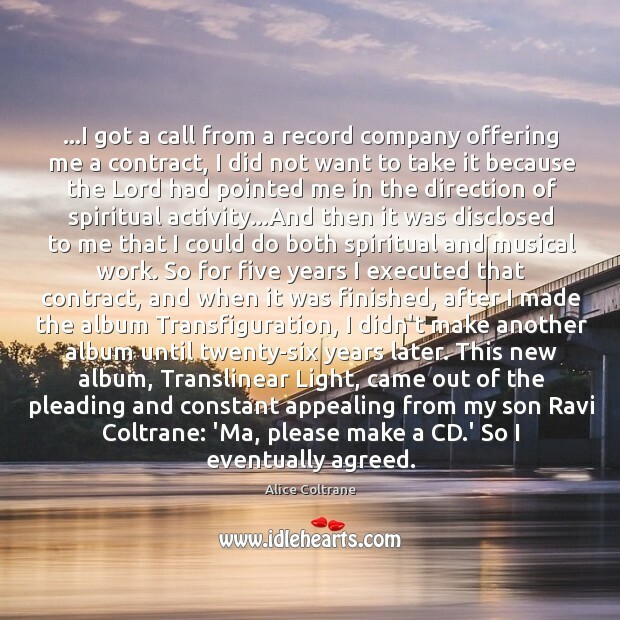 I just go within.